Got a few codes on our 2012 Panamera, including an airbag light. Decided to order the durametric enthusiast cable to do it right. My durametric was delivered today, and when I did the first scan, there were probably 15 codes. I did a reset, and only 2 showed back up. The ABS light won't go off. Gives me 25857 / 6501. LIN, short circuit to ground. Also the check engine light is on. Codes there are P0100. Evap Emission System Leak Detection Pump Control circuit low. 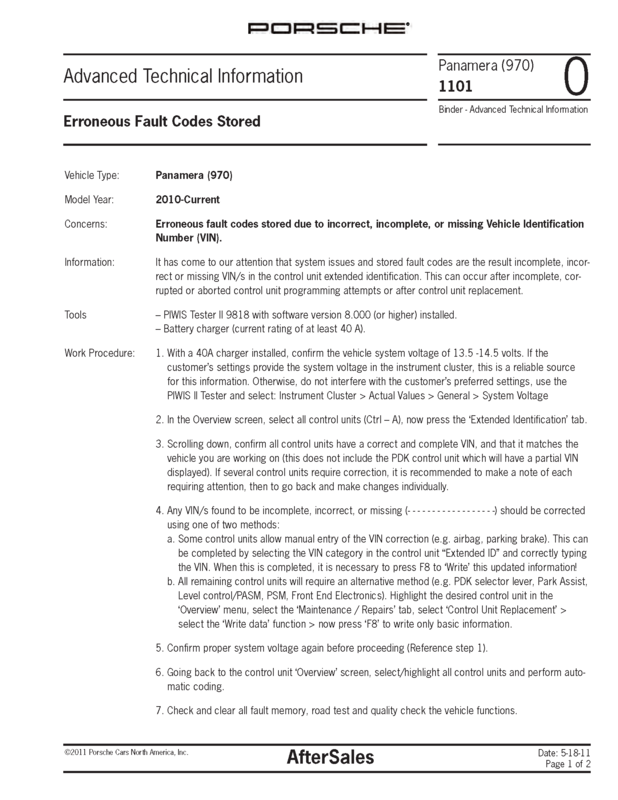 Google hasn't been much help, and not a ton of folks playing around with Panameras elec systems on the forums, so hopefully someone here has a thought on clearing these. Please tell me I didn't fry something... The car runs and drives great like it always has! EVAP leak - most common is a worn o-ring on the gas cap. For your ABS error - check this first. Thanks Loren! Got a new gas cap coming by the weekend. Also, checked the 4 seatbelts in the Panamera. The passenger side receptacle won't actually pop all the way back up when you press the red button. The seatbelt still locks and unlocks, but the red button only has pressure in the last 1cm of pushing on it. Can't find much info on opening up the receptacle to be able to clean it, but I think that is my next step. Dang... new gas cap didn't fix it. Well, it did for about 30min, and then came back on. 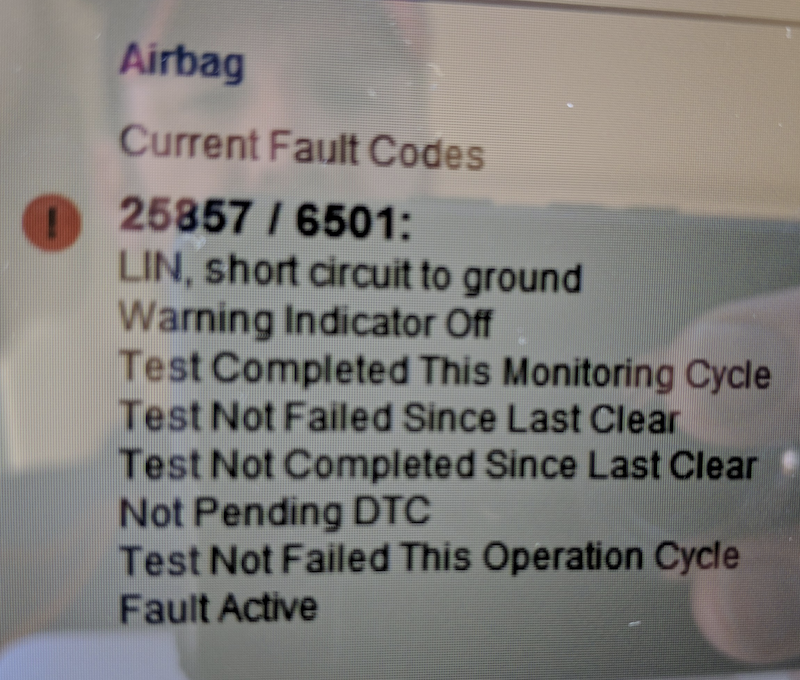 Tried diagnosing the airbag light some more per your instructions Loren. Not sure how to follow with my Durametric, but added VIN where I could. This is still the code (attached pic). Maybe I can somehow clear the control module (like fuse #40 in our Cayenne)...? Still learning how to use the Durametric, so if I am clearly not doing something right, please someone let me know... 🙂 Thanks! Yeah, did that too. Very frustrating. Thanks for the input! Each tire has abs sensor that plugs into the control arm. One of them can go bad. Also, if anyone replaced the hub bearing, and installed new bearing backqards. You would get bad abs too. Just throwing this out in case work done on it.. check connections by unplugging and plugging after you spray with electronics cleaner on each wheel. Thanks again Ciaka. No work has been done to the car in the past few months. We did have a crazy snowstorm we drove thru, so maybe something pulled loose...? I will get under it and see if anything looks out of place. Thanks! Well, all the abs sensors looked good. So I decided to remove EVERY SINGLE FUSE in the car (Left dash, right dash, and trunk) and put them back in. Then scanned system, found a ton of codes, hit erase, and nothing but green checks! And its been almost 2 weeks and still good to go. Good to hear resolved well. Also glad you have a tool to pull codes is something goes south. Take care and thanks for posting up wih resolution.